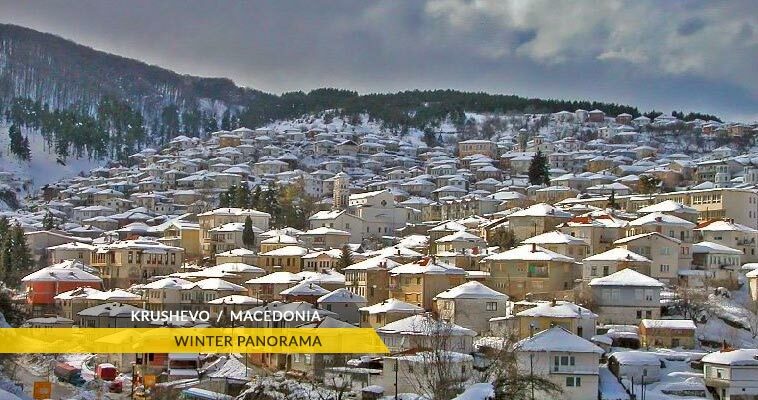 The highest town in the Republic of Macedonia is Krusevo, as it's situated at an altitude of over 1,350 meters above sea level. 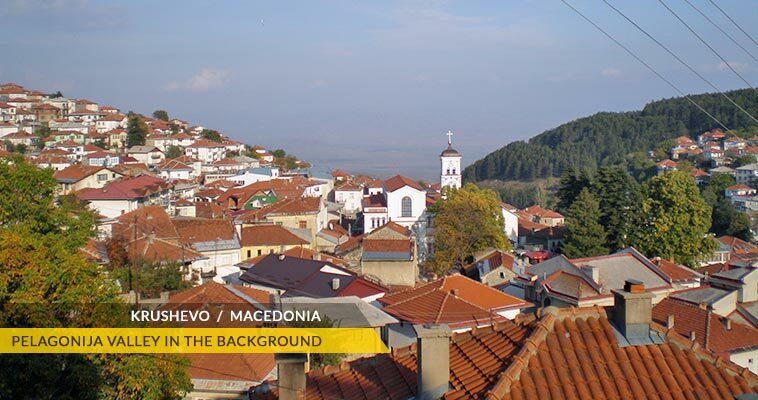 According to the 2002 census, Krusevo had a population of around 5,000. Krusevo is situated on the Busava mountain above the north-western part of Pelagonija plain. Krusevo can be accessed by road from Prilep, that is 32 km. Krusevo is a small picturesque mountain town. It resembles a magic painting by an old master. The chance guest will not be wrong if they style Krusevo as a museum of old architecture. Krusevo is full of old and more recent houses built in the style of old Macedonian architecture. It is home to Meckin Kamen, a famous historical landmark which marks the spot of the uprising of 1903. On 2nd August every year, it is the site of the traditional Macedonian Independence Day celebrations which are attended by the President of Macedonia, as well as other Macedonian political leaders. The Makedonium monument, a memorial of the Ilinden Rebellion is to be found in Krusevo. There are also a number of museums of the Ilinden Uprising, a Gallery of 19th century icons, and a memorial gallery to the master of modern Macedonian painting, Nikola Martinovski, who was born in Krusevo. 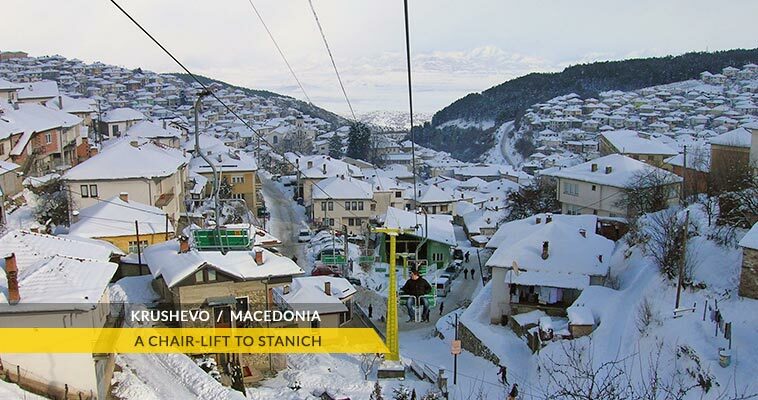 Owing to its high elevation, Krusevo is also one of Macedonia’s prime winter sports destinations. Yet this same quality also makes this pine-forested getaway a comfortable destination in summer, when the Krusevo air stays cooler and more pure than in the arid lowlands.